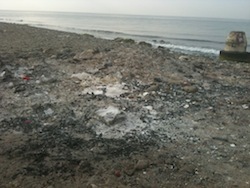 The dust has settled and we all had a good time at the Noche de San Juan in Marbella. Actually our family had spent it in San Pedro de Alcantara where there was a big bonfire, fireworks and plenty of music and dance. 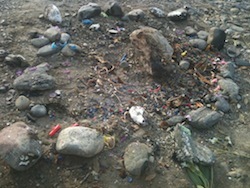 Several hours later now, I return to the scene and find the Noche de San Juan aftermath. 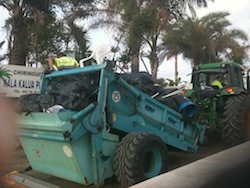 Everything is nearly all cleaned up and the beaches are ready once again for the tourists to sunbathe and enjoy the Marbella weather. Check out these photos from this morning and send us any of your Noche de San Juan photos if you would like to share them! 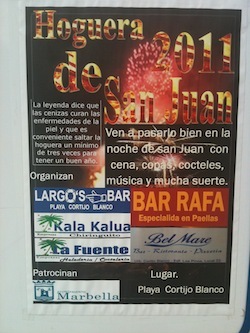 Don´t know what Noche de San Juan is? Read up on it here.